in the UK you have to make the most of the weather when it's here Pat, we never know what it will be time tomorrow. 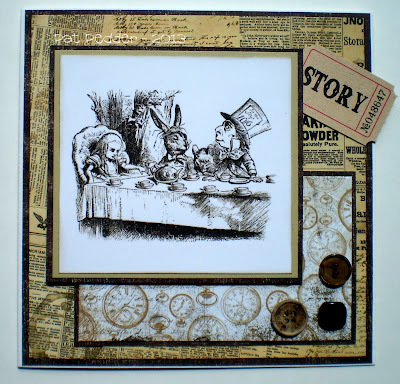 Lovely fairytale theme to your card. This is fabulous Pat. I love the image and brilliant papers. 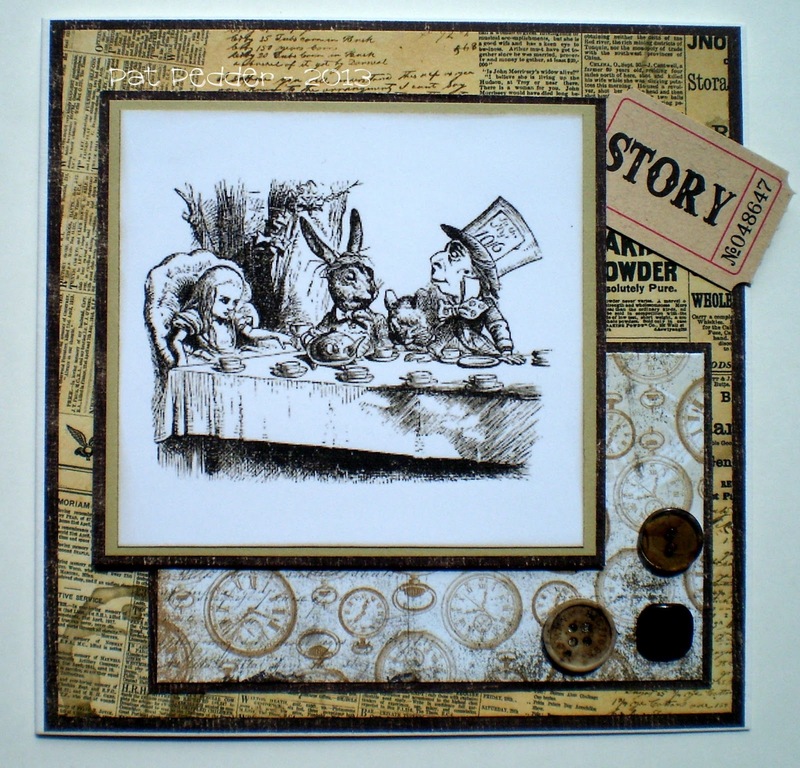 Hi Pat this is totally ACE, that image, the papers, colours and vintage style are a big hit with me, I love it. Everything about this is fabulous! Love the papers and design! Fab card Pat - love the papers. Great make - I love the black and white image. It is quite a story and I prefer the version with Johnny Depp! !